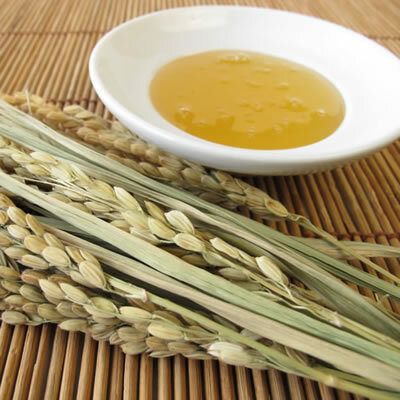 Brown rice sugar is a sweet syrup derived from whole grain brown rice. What is Brown Rice Syrup or Sugar? Brown rice sugar is derived from cooked rice cultured with enzymes (usually from dried barley sprouts) which breaks down the starches. The final product is 45% maltose, 3% glucose, and 52% maltotriose. It is preferred over refined sugar for vegans as refined sugar sometimes uses bone char from animals. Although it is similar to honey in appearance and sweetness it has a very distinct flavor different from other sweeteners. Most brown rice sugar (or syrup) is classified as organic which makes it a popular sweetener of choice for those individuals concerned with clean label products. It is also considered a healthier option to traditional refined sugars because the glucose present in brown rice sugar is easier for our system to breakdown, leaving less sugar present for fat accumulation. Since it takes longer to digest these complex carbohydrates and maltose found in this syrup, more energy is left for a longer period of time for the body. Brown rice is cooked and then enzymes are used to break down and ferment starches found in the rice. The fermented liquid is then strained and reduced until a syrup forms. It can also be produced using this same method except with brown rice flour instead of the whole grain.